Kroger eCoupons are loaded directly to your shoppers card just like Cellfire coupons. 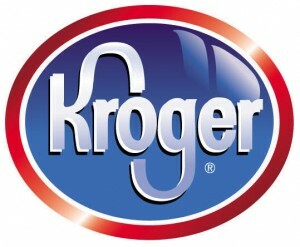 To get started with Kroger e-Coupons, create an account at Kroger.com. You will need to have your Krogers Plus card number handy. Kroger has released new eCoupons! As they are sometimes limited in quantity, I recommend saving them to your card now in case they disappear. Please note that the eCoupons all have different dates of expiration, and keep in mind that Kroger digital coupons do not double. Renae is the Deal Seeking Mom Store Expert for Kroger. She blogs about balancing work, money saving strategies and motherhood at How to Have It All. when your card gets scanned will these ecoupons still get used if you also have a paper coupon for the same thing? for instance if i have $1/1 for quilted northern PLUS the ecoupon…could i use them at the same time? The official Kroger coupon policy states that eCoupons and paper coupons can’t be stacked. However, there are a few stores out there that still allow it. Check with your store to see what their policy is. I am thankful my Kroger store stacks the coupons. Where my Mom and Sis live the Kroger store will not even double any coupons – the excuse given is that the coupon redemption is up to the store manager. I love the Kroger e-coupons! Thank you for sharing! I am always able to use both the e-coupon and a paper coupon! !